Council will be discussing both the capital and operating for our City over the nest month or so. The budget for 2019 is proposed at 3.99%. I do have a problem with this proposal, and I will elaborate in due time. meantime I want to hear from you! **Feb.4th at 6.30 - Public delegations on the budget in the Council Chambers. I am arranging a Town Hall Ward 6 budget discussion, location and time TBA. Please feel free to email any questions or comments on what is important to you! Hi Everyone, I trust we all had a wonderful Holiday season enjoying time with family and friends. I am looking forward to continue working for each of you, and listening to what is important to you. One of the ways to communicate these priorities will be through regular newsletters. I am also looking for Ward 6 individuals who would be interested in “contributing” to our newsletter from time to time. As per legislation, we will need your permission to send this newsletter directly to you via email. I am asking that if you wish to receive the Ward 6 newsletter please respond via email to: angelo.bentivegna@burlington.ca. Thank you again, I am really looking forward to connect with everyone! Provincial Government...Ask Halton farmers for help! Great news! Our Burlington, Our Ward 6 This time I'm determined to win! Thank you @AngBentivegna Angelo Bentivegna for being the only Ward 6 candidate who would seek to protect against Meridian's deforestation of Tyandaga's #greenbelt. @BlairLancaster and Kinsey Schurm would not respond to @BurlingtonGreen 's question about the quarry expansion. Is prior involvement necessary? Probably not, but this election, with two incumbents of seven retiring, familiarity with the system could be advantageous. About 150 attended Thursday's Ward 6 debate, which incumbent Blair Lancaster boycotted (more later). Three viable candidates debated. Local business owner Angelo Bentivegna placed second to Lancaster in 2014's 10-candidate race, and regularly attends committee meetings. Twenty-four-year-old sales executive Kinsey Schurm has helped candidates in provincial and federal races, and portfolio manager Ken White is working on a CPA accounting designation. Each offers different strengths. Bentivegna is very up on current issues, and has been heavily involved in volunteering and local fundraising. Schurm is young and eager, less involved, but is a non-voting member of the cycling committee. Bentivegna is concerned about switches of employment lands to residential, and keen on seniors' issues. Schurm wants weekly garbage pickup. White questioned the cost of the Joseph Brant Museum expansion, saying about $750 per square foot is much too costly. Ward 6 Candidate questions from Burlington Post...Business growth? Burlington Post asking Ward 6 Candidates question on Seniors? To all Ward 6 residents, please adjust the address on your "Voter Information Notice" that was sent to your home by the City of Burlington, Ontario, regarding the address of St.Paul the Apostle Church. The address is 2265 Headon Road. I will be asking the Burlington Elections Officer to insure that other means of Media be used to create more awareness to this issue! 2nd Ward 6 City of Burlington Debate.. Be informed. 1st Ward 6 debate....and worth your vote! Burlington to merge with Waterdown????? CN Rail Yards....Province helping Halton Region with Intermodal Hub dispute! City position on Mid-Rise Buildings 5-11 stories??? Do you agree??? Burlington will host HomeTown Hockey!!!! Candidates October 22nd Election...Check them out...be informed! Another tall building across City Hall? Planning and development committee meeting vote was 5-2 for 17 storey + amenity floor across from City Hall. Marianne Meed Ward & Jack Dennison were not supportive. Final vote will be Monday at Council meeting July 16, 6:30 rm 247. LaSalle Marina...4 Million Taxpayers Dollars!!! ...Check it out??? 1-The Marina land at LaSalle Park is owned by the City of Hamilton, and the Pier and water are property of the Hamilton Port Authority. 2-City of Burlington has leased the land for many years at 1 dollar per year. 3-The City of Burlington has tried to negotiate to purchase the land from Hamilton without success. 4-Records show that the lease on the Marina runs out in 2022. 5-Is a NEW lease an option?....not aware at this time, nothing has been made publicly. 6-There are approximately 220 boater at the present time at the marina. 7-Boater slip requests/rentals have been diminishing for many years at LaSalle Marina due to damage to boats caused by high waves etc.. Therefore some boaters have moved on...to places that provide better wave break protection. 8-Lasalle Marina has been privately operated for over 25 years. 9- The City is prepared to hand over 4 million taxpayer dollars to the Marina operators/association so they can build a new floating wave-break wall in the near future for their boaters. 11-This discussion has been going on for years between Council, Staff and the Marina Association...actually, a couple years ago in the Council Chambers, the LaSalle Marina Organization said that they didn't and wouldn't need money from the City. 12-The disappointment I have with this Council (during this committee meeting) is that no one asked about the LEASE/ or ownership issue on the property...???? 13-I ask the Mayor and each and every Councillor that if they were personally able to loan the funds to the LaSalle Marina Association ...would they actually be agreeable to that kind of repayment schedule? We will see what the final VOTE will be at the next Council Meeting-June 18th, 2018.
applications in a public forum as required by the Planning Act. Parks and Recreation is in the process of changing our online registration and facility booking system which will be fully implemented in August 2018. The purpose of this email is to provide some initial background information as we are starting to communicate with the public. New logins (user id’s and passwords) are required for the new system so customers need to update/provide an email address on their RecExpress account by July 15, 2018 in order to interact with our new system online. New logins will be emailed to customers in early August. Customers who do NOT wish to provide an email address, will still be able to transact with us at any one of our Customer Service counters; they can visit burlington.ca/play for more information. Customers can update their email address by calling 905-335-7720 or emailing registrations@burlington.ca. The City will be communicating directly with user groups and providing extra support at the Seniors’ Centre as well as using a variety of communication tactics including social media, traditional media, newsletters, in-person and an FAQ online at burlington.ca/registration to help with the transition to the new system. The City is looking forward to a smooth transition to the new online registration and facility booking system. Official plan....Is it a done Deal?...see in October? More OMB mediation in ward 6...Who is really making the decisions? Building applications to the downtown rolling in...do we have a plan for our streets to maintain traffic flow with these added constuction sites? Must read...are these your council members? Already happening in ward 6! Are we getting all the facts? Are we going down that path again? Approve financial support in 2018 to Friends of Freeman Station to support their fundraising campaign by providing matching funds on a dollar for dollar basis up to $50,000 to be funded from the Tax Rate Stabilization Reserve Fund. OMB rules against Burlington....There was no appeal. Towers in Downtown Burlington...5-2 vote. City funds 2.9 million dollars to Joseph Brant Museum . The museum has 25,000 artifacts and receives about 18,000 visitors a year. The new space will meet all the display and security criteria to attract national travelling exhibits. Transit...Why was Council not aware of this Bus Wreck! Colaboration..how can anything get done. It is in every citizen in Burlington's best interest to watch the very 1st Council meeting after the election of 2014. The true character and mindset of our elected Councilors will be with us till the next election in 2018! I find that the conduct of some Councilors were immature, not collaborative, and simply childish. That is why our City needs change. If you don't wish to watch the complete inaugural Dec.2014 Council session...pay very close attention from the 41.00 minute mark through the 59.59 minute mark. Is this the kind of Councilors we want running our City? Minimum wage to $15.00hr...now living wage $18.00 who's funding this? Council talks about taxpayers 1m funding? Question???? Could discussions from agreed mediators selected by officials of the airpark and the city have solved the issue and saved everyone time and money? Did the city know-it-alls make an error in changing the bylaw in 2013 by not including provisions regarding retroactive use of previous bylaw enforcement? Residents not happy...Ward 6 decision on Fortino's plaza! Size of council...agreed... need to be larger! Is Burlington ok with this? Are we doing enough forward planning? Urban Sprawl- Good for Burlington? Proud to have been a part of this wonderful event with friends, business associates and our community, in this remarkable City of Burlington, Ontario. Developer, City, and Council all waiting..
New sports facility...and it's not hockey! Mayor Goldring...drew line in the sand! Tonight's news release from the City of Burlington:City of Burlington Council approves report giving staff authority to legally enforce site alteration by-law against BurlingtonAt its meeting on Monday, April 20, 2015, Burlington City Council approved a confidential report giving City of Burlington staff full authority to legally enforce the requirements of city site alteration by-law 64-2014 against Burlington Airpark Inc. The Burlington Executive Airpark was given 30 days, from March 20, 2015, to comply with the by-law after months of discussion between officials at the city and the Airpark failed to produce the required application. Further legal proceedings will be commenced to compel the Airpark to comply with the city’s site alteration by-law and file the required application for a permit.The City of Burlington site alteration by-law 64-2014 regulates the placing, dumping, cutting and removal of fill or the alteration of grades or drainage on a piece of land. Individuals undertaking this type of work are first required to submit an application to the city for a site alteration permit.The Burlington Airpark Inc. has not submitted an application for a site alteration permit for the areas of the Airpark property where substantial quantities of fill were deposited between 2009 to 2014.“The Burlington Airpark continues to be of great interest to the residents of Burlington,” said Mayor Rick Goldring. “The requirements set out in Burlington’s site alteration by-law are necessary to help regulate impacts to the environment and drainage patterns.”TimelineJuly 4, 2013 - The City of Burlington moved forward with a legal strategy to address concerns regarding noise and fill activities related to construction at the Burlington Airpark on Bell School Line.July 18, 2013 – The Burlington Airpark serves the City of Burlington with an application to take the city to court and seeks a court order to declare the city’s site alteration by-law does not apply to the airport’s operations and construction of aerodrome facilities.July 29, 2013 - The City of Burlington and the Burlington Airpark reach a settlement to stop fill operations at the airpark until a decision is made by the courts about whether the city has jurisdiction to regulate fill operations through its site alteration by-law.Nov. 13, 2013 - A Milton Superior Court rules the City of Burlington’s site alteration by-law applies to the Burlington Airpark.June 11, 2014 - The Court of Appeal for Ontario upholds the decision of the Milton Superior Court that the City of Burlington's site alteration by-law applies to the Burlington Airpark.For more information about the city and the Burlington Executive Airpark, visit www.burlington.ca/airpark. JB Hospital Foundation unveils plaque on Friday 04/17/15 in honor of Beauty and the Bistro Team for $450,000 . Learn more about Beauty & the Bistro. Last summer flood survey result! Parking pamphlets were sent to homes in the Alton community with a NEW version of the OLD parking regulations. All this without the INPUT of the residences that are the stakeholders. The City Of Burlington is allowing parking perpendicular to the lay-bys to everyone's surprise again! Alton etc... and now they are permitting it again. It was suggested by many last year that it was a safety issue...and NOW it must not be. Who is driving this agenda and why isn't our ward keeper not communicating what has transpired. ​As always I can be reached via email or phone (as many of you know) to discuss and to help in any way I can. Well, it’s been three years since ‪the committee of ‎Beauty and the Bistro‬ decided to purchase a state of the art digital mammography machine with a biopsy attachment for our hospital at a price tag of 450,000 dollars. Last night,…almost 700 guests gathered at Leggat Cadillac to witness the completion of this community project. Here are the amounts raised by this incredible group...creating a cocktail style event each year. 2014= $ balance of shortfall topped up personally by the Sutherland family of Sutherland Homes. Thank you Burlington, Ontario guests and partners! Thank you for allowing me the opportunity to introduce myself as a candidate for Ward 6 councilor. 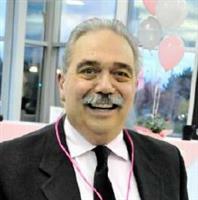 My name is Angelo Bentivegna and I have lived and worked in Burlington for approximately 30 years. We have operated a business and proud to have survived good and bad times over the last 25 years…. I am a husband, father and grandfather. I understand each generation’s concerns . I will engage our residents to take part in moving our city forward through realistic and viable solution. encourage our families to use them..
Our city facilities need to be more vibrant. Encourage more activities for our seniors and young families. Our Seniors need more places to interact and stay connected with our city. I have worked with the Halton Catholic School Board Strategic planning Committee as a parent liaison. I have been on numerous boards over the last 20 plus years including sports, community and fundraising groups. I have managed to show our city councilors the need to “do the right thing” on numerous occasions. My past achievements are a testament of my commitment to our community, our ward and our city . wards in our city. We have 4 distinct neighbourhoods. Headon Forest sill need infrastructure repair in the near future. and successful in dealing with five other councilors and a mayor to achieve results that we deem as Ward 6 priorities. We also need to ask ourselves…. Who at this table is best to spend 210 million of your tax dollars? the ability to accomplish goals that have been set out? I believe history repeats itself. I believe our past values hold as future values. I believe selfless people get the job done with help from others. you do, when you have collaboration and buy in. Our ward and our city need a change. We need to change how and where we spend our dollars. We need to hold departments accountable. My past has proven that. North Burlington's Baptist Church will be hosting their annual community fair. The event will be on September 6th 2014 from 11.00am till 3.00pm at 1377 Walker's Line. There will be lots of fun and games for the whole family...see you there! Halton Region...potential rain storm relief! Check out all the info you may need. Don't believe everything you read or hear! I have recently read and heard that a Council report suggests taxes will be going up....16% over the next 4 years! Well, this is a very premature way to evaluate the incoming Council...both new and old. There are so many stones to overturn and many new ideas and principles to review. But the key task will be to develop a streamlined process to monitor,react and evaluate the efficiencies of the new "Service Based Budget Program". The results of this program will create greater success and improved services for our great City. I know that will be my goal. I would like to take this opportunity to discuss with you the rationale for the initiation of the New Street Bike Lanes’ Study that was recently supported by Council. Why should we consider designated bike lanes on New Street? Since the City of Burlington declared itself as a Sustainable Development Community in 1990, we have invested in creating vibrant neighborhoods. To be truly vibrant, neighbourhoods should be designed to encourage active lifestyles, including walking and cycling. These areas are often favoured places to live because of lower pollution levels, less traffic congestion, more parks and public spaces, improved opportunities for social interaction, and an abundance of healthy lifestyle choices. To get to this state, a complete transportation network must be designed to allow for a healthy and pragmatic balance of cars, public transit, cyclists, and pedestrians. That network must be safe, accessible, cater to the varied needs of our community, and be implemented in a fiscally responsible manner. This balance must meet current and long-term needs, given the investment required. Part of defining future needs is learning about the developing trends. The just-published study conducted by the provincial cycling coalition group, Share the Road, notes that 32% of Ontarians bike at least monthly and the majority (54%) want to ride their bicycles more often, including commuting to work, school, running errands, or even for light shopping. The survey shows that 68% of respondents state better bike lanes and infrastructure are keys to increased ridership. Additional studies conclude that the younger demographic (under 35) is choosing to cycle more often as a healthy lifestyle choice and that providing a healthier environment is vital to attracting younger residents and families to our community, which in turn, sustains and enriches vibrant neighbourhoods. But this trend is not exclusively the domain of the younger demographic. US Federal data also shows that cycling rates among people between the ages of 60 and 79 are soaring when as recently as the mid 1990’s, riding a bicycle over the age of 55 was very rare and riding over 75 was almost unheard of. This is particularly noteworthy, given Burlington’s young-at-heart population. In fact, our city has one of the highest proportions of senior citizens in the GTA. While it would be simply wrong to predict the demise of cars, people are looking to cycling, walking, and public transit to augment their automobiles, either for reasons of health, convenience, or cost (e.g. parking, gas, etc.). But therein lies the catch: the lack of infrastructure to support this choice. While a line in the pavement dividing cars from cyclists may appear to be satisfactory at first thought, in reality, it is not because it does not provide the safety and security of a protected bike lane. Cyclists who use wider, protected lanes feel safer and, more importantly, research demonstrates that they truly are safer, which ultimately protects motorists as well. A short-cut solution merely goes part way and satisfies no one, which ultimately results in a failure of the undertaking. This is particularly so when you consider that while current cycling enthusiasts may “accept” the risk inherent with a sub-par infrastructure, the broader community, many whom would bike otherwise, simply will not because of these safety and security fears. In short, increased cycling will not occur and a reduction may well result instead. There are those who ask why cyclists do not use existing multi-purpose paths. There are at least two answers to this question. First, current or prospective cyclists often want to take direct routes to their destinations and, much more often than not, these multi-purpose pathways were never constructed as such. Rather, roadways were. More fundamentally, bicycles, in fact, compromise the safety of these pathways, which are often filled with walkers, strollers, and roller-bladers. So is the assurance of a protected bike lane enough to expand ridership? New research suggests that the answer is “Yes”. A recent study led by Christopher Monsere of Portland State University released a thorough analysis of new protected bike lanes in five major U.S. cities. The researchers videotaped the new lanes, conducted local surveys, and gathered data on cycling trends to get a full picture of life in these new corridors — comparing what they found to rider habits before the protected lanes were installed. They found that ridership increased anywhere from 21% to 171%. Unquestionably, cycling rates rose on the new lanes across the board. In talking with many constituents, my sense is that that most people are accepting of cyclists and automobile drivers co-existing safely. And most want to avoid the potential for dangerous situations that the current infrastructure presents. This works very well in new areas such as subdivisions where bike lanes are woven into the design of these neighborhoods. The complexity comes into play where we have to retrofit long-existing city roads such as New Street. I wanted to clarify some misconception that I understand has been circulating, that the cost of the dedicated bike lanes on New Street is $2 million. Rather, the incremental cost is $1.2 million, with the balance of $0.8 million is for the resurfacing that will be done regardless. Nonetheless, we all appreciate what is at stake here: the cost. For this reason, Council did not vote for installing dedicated bike lanes on New Street at this time. Rather, we voted in favour of directing staff to conduct an analysis for the viability of dedicated bike lanes. It is through this platform and the current updating of the city’s Transportation Master Plan that we invite your voice to be heard so the best decision can be made. Thank you for your interest. With Burlington slated to invest over $1 billion in infrastructure in the next 20 years, a true opportunity exists to plan and to “get it right” when upgrading our city streets. As always I invite and appreciate hearing your views. On June 9th Burlington City Council approved more dollars for additional snow clearing services to be introduced during the 2014 and 2015 snow season. The new snow clearing program will include Centennial bikeway, the beachway and all the North Hydro Corridors. Snow will be cleared once a min of 30cm fall and will be plowed within 24 hrs. the understanding is also that parking lay-bys throughout the city will be included. Joelle's Fashion Show Production for Breast Cancer... Featuring breast cancer survivors on the runway...proceeds go towards the purchase of a Digital Mammography machine with a biopsy attachment. You want to be there! Rescind new parking in Alton? On Monday May 5th Councillor Lancaster rescinded parking issue in Alton "1.00am - 6.00am" and will be going for final approval to remove this program on May 20th. Discussion on school buses: can park on street that are more than 9m wide from 9-3, M-F, Sept. 1-June 30. Welcome, Patrick Moyle, Burlington's interim city manager. Patrick, was the former CAO of Halton Region and executive director of the Association of Municipalities of Ontario. Today was his 1st official day on the job. Ontario Ministry of Environment....are we looking at this in the fly zone. Today's meeting of the whole was very informative...kudos for presentation. Result was a unanimous decision by city council to have BEDC move forward with a plan to incorporate BEDC. The catch is... the proposal lacks some key elements and council wants BEDC to come back with answers to the measurable guidelines and accountability questions as well as procedures to engage residences. spokesperson to represent the views of the group. April 17,2014 at 1.00pm in the council chambers, level 2. Committee of the whole meeting will discuss the values and benefits of BEDC becoming a stand alone corporation with benefits. The following roads will be discussed at the City Hall. Palladium Road/Mikalda Road/Deforest Cres/Simpson Drive. If you have any issues outstanding and would like me to visit your property please let me know. 905-336-2987.